Love delicious, sweet peas? 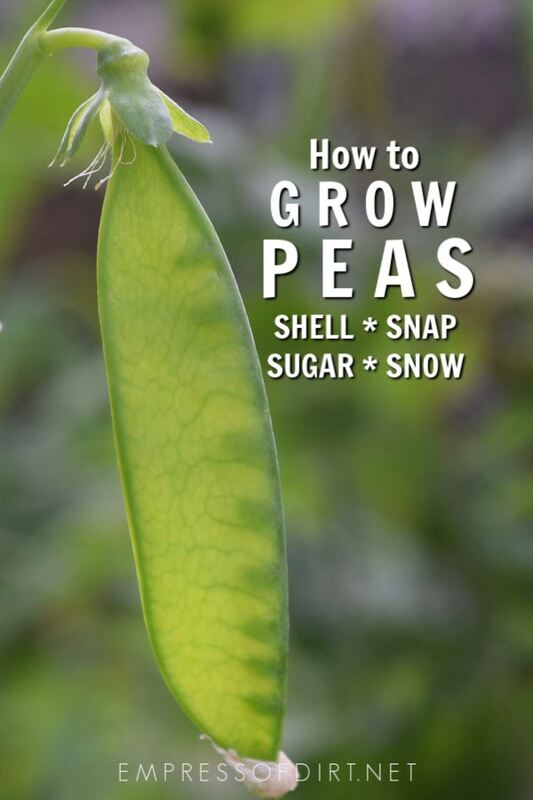 These beginner garden tips share how to grow snow, snap, shell, and sugar peas in the home garden. And how to know what’s what. Plus, you can also grow peas indoors. Peas are easy to grow, beautiful, and delicious, and can be eaten during all stages of growth from pea shoots to fresh peas in the pod. If they only produced flowers and nothing more, I’d still grow them. Arguably the most beautiful flowers in the garden. If they only produced shoots, and nothing more, I’d still grow them. Absolutely delicious addition to salads. If they only produced pods, and nothing more, I’d still grow them. Fresh or stir-fried: delightful. If they only produced peas and nothing more, I’d still grow them. Taste test them daily for peak sweetness and swoon. If they only produced those funny root nodules, I’d still grow them. Pea plants add nitrogen to the soil making it rich and fertile. Related: How to grow plants from seeds and cuttings. 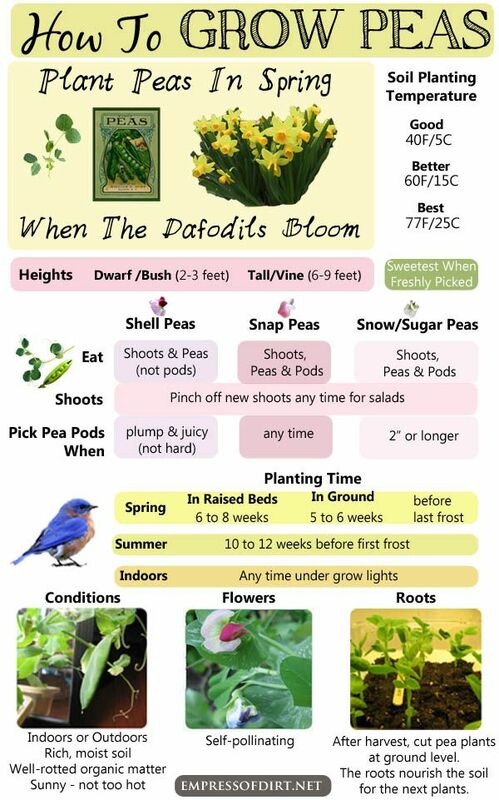 Plant Peas in Spring When the Daffodils Bloom! That’s what I do. It’s tempting to plant the seeds earlier but they really do favour warmer soils so it’s best to wait. If the daffodils are happy, the peas will germinate nicely. The optimum soil temperature for sowing peas is 75F (24C). This has a list of best sowing temperatures for popular garden veggies and herbs. Seed growers want you to succeed and the good ones tell you what you need to know. How many days it will take from seed to harvest, how to plant the seeds, preferred conditions… it’s all there. And if it’s not, look it up online and keep track of what you plant so you’ll know your favourites for next year. Most dwarf varieties grow like little bushes reaching 2 to 3 feet tall. Tall vine peas can reach 6 to 9 feet tall. Check your seed packet and plan ahead, using twiggy sticks or trellis for support. The tiny tendrils need to grab on to something while they grow and it’s much easier to harvest if the shoots have spread out. You can grow peas indoors (with grow lights) and outdoors in containers, raised beds, or in the ground. Lots of options! I grow mine in both sun and semi-shade, keeping the roots covered with mulch so they stay moist and cool. These are generalizations – always refer to the information on your seed packet (or Google the name of your peas) for specific information. You can eat the shoots and peas but not the pods (they’re tough). Shoots (new tendrils with fine leaves) can be eaten at any time. I clip them off throughout the growing season and add them to my daily salads. Delicious! Pick the pea pods when they feel plump and juicy (not hard). The shoots, peas, and pods are all edible. Pick them any time – eat young ones whole. Older ones may be better with shells removed. 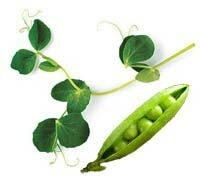 Snow peas tend to be more tolerant of heat than other types of peas. Pick when pods are at least 2” long or peas start to swell. Peas inside should be tiny or flat. Pick often and the plant will keep producing more. If overgrown, remove pods (they get tough). If I had to choose, I might just say that pea flowers are my favourite of all flowers. Bold statement, but true. 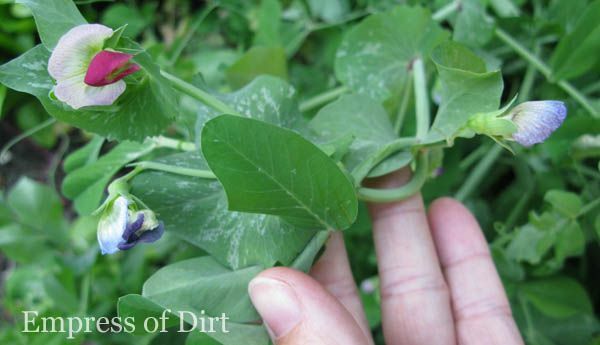 Pea flowers are self-pollinating which means they do not need assistance to fertilize and this also means you can grow peas indoors under grow lights right through to harvest time. Rich, moist soil (but not damp). Sunny but not too hot. A kitchen meat thermometer is perfect for checking soil temperatures. Measure over a few days and take the average to know when it’s time to sow. Raised beds or containers – 6 to 8 weeks before last frost (cover at night if necessary). In ground – 5 to 6 weeks before last frost. 10 to 12 weeks before first fall frost (choose dwarf varieties)- mulch when plants are 6” high to keep the roots cool and moist. Plant any time – use grow lights 12 hours per day. Cover early plantings with frost covers (see them at Amazon.com) or cloches if temperatures drop. Cover raised beds with garden screens to keep birds and rodents from eating the seeds and seedlings. By planting a few varieties and/or staggering the planting times, you can have a nice, long harvest time. Plant an early variety (check seed packet to see what type it is) every 4 weeks until midsummer (though harvest times may collide anyways). 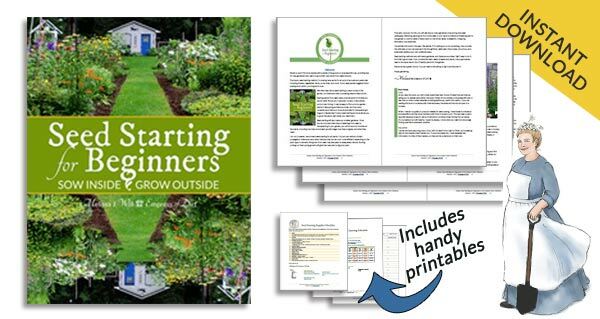 Do a single sowing of all varieties – early, second early, and main crop varieties. Start a fall crop in mid-summer (10 to 12 weeks before first fall frost). Use disease-free twiggy sticks (for bush types) or trellis or tall canes for tall (vine) varieties. The best way to get to know your peas and their best harvest time is to taste them every day once the pods have formed and you know they should be ready soon. There’s a magical few days when the peas and/or pods reach their maximum sweetness and it’s not to be missed: daily taste tests will ensure you catch them at the perfect time. Once they’re picked, eat them (or refrigerate or freeze them) as soon as possible before the sugars change to starch. What a lot of people overlook is that you can pinch off and eat the shoots throughout the life of the plant. The shoots can be as sweet and delicious as the best peas. The shoots, peas, and pods can be eaten raw or cooked. Taste them freshly picked and there’s no turning back. Average is 3 months after planting (check your seed package for specific times). As said, do taste the shoots, peas, and pods throughout the growing cycle. If you wait until a final harvest, you will miss out on some really delicious stuff along the way. Pea pods mature at the bottom of the plant first, working upward. Check the bottom pods first for ripeness. Pick ripe peas/ pods right before you eat them. The sugars quickly turn to starch. Alternately, get them into the fridge or freezer as soon as possible. Do not pull the plants from the ground. Cut them down to ground level and leave the roots where they are. The white nodules on the roots are filled with nitrogen-fixing bacteria (good) that enrich the soil for future plants. Got Some Favourite Peas to Recommend? Save the pods for making vegetable stock. Great article, I learned so much. I’m going to try my hand at growing some this year !